Physical characteristics: The gray-necked picathartes is also known as the red-headed rockfowl, the blue-headed picathartes, and the gray-necked bald crow. It is a medium-sized bird about 14 inches (35 centimeters) long and weighs 7.7 ounces (220 grams). Its head is brightly colored in red, blue, and black, against a gray body with a pale yellow underbelly. Black bristles on the top of its head and a ruff at the back of its neck can be raised when the bird is agitated. 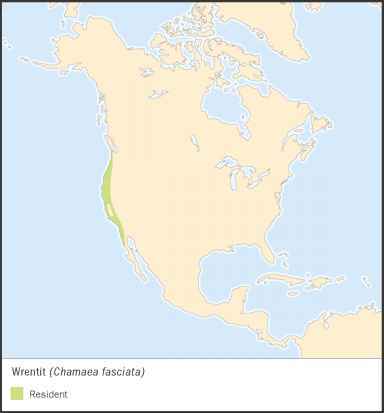 Geographic range: This species is found primarily in West Africa in Cameroon, Nigeria, Gabon, and the island of Bioko in the Gulf of Guinea. Habitat: Gray-necked picathartes nest in rainforest regions near rock formations or inside caves. Diet: This bird searches for prey by looking through litter on the rainforest floor. Its favorite foods are crabs, frogs, lizards, snails, worms, and army ants. Behavior and reproduction: A social bird, the gray-necked pi-cathartes forages on the ground in pairs or in small groups of up to ten birds. They roost at night in trees in large numbers. The gray-necked picathartes keeps the same mate throughout life. Both mates build cup-shaped nests with thick walls made of mud and plant matter, resulting in pottery-like structures. Fixed to rock faces in dense rainforests or wedged into crevices in cave walls, these nests may take up to a year to build. 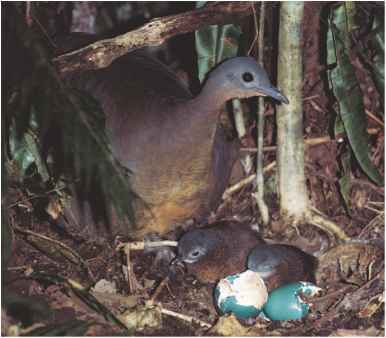 The female lays two multi-colored speckled eggs, and both parents incubate, or sit on the eggs, for twenty-four days. Gray-necked picathartes and people: These birds have unusual markings, and may be attractive to birdwatchers. They were once imported heavily for exhibition in zoos, but that was stopped in 1973. This species is not frightened by people who enter its nesting areas and shows curiosity about human visitors.